"NEW YORK TIMES" BESTSELLER LONGLISTED FOR THE MAN BOOKER PRIZE NAMED ONE OF THE BEST BOOKS OF THE YEAR BY "THE WASHINGTON POST"
Meet Harold Fry, recently retired. He lives in a small English village with his wife, Maureen, who seems irritated by almost everything he does, even down to how he butters his toast. Little differentiates one day from the next. Then one morning the mail arrives, and within the stack of quotidian minutiae is a letter addressed to Harold in a shaky scrawl from a woman he hasn t seen or heard from in twenty years. Queenie Hennessy is in hospice and is writing to say goodbye. Harold pens a quick reply and, leaving Maureen to her chores, heads to the corner mailbox. But then, as happens in the very best works of fiction, Harold has a chance encounter, one that convinces him that he absolutely must deliver his message to Queenie in person. And thus begins the unlikely pilgrimage at the heart of Rachel Joyce's remarkable debut. Harold Fry is determined to walk six hundred miles from Kingsbridge to the hospice in Berwick-upon-Tweed because, he believes, as long as he walks, Queenie Hennessey will live. Still in his yachting shoes and light coat, Harold embarks on his urgent quest across the countryside. Along the way he meets one fascinating character after another, each of whom unlocks his long-dormant spirit and sense of promise. Memories of his first dance with Maureen, his wedding day, his joy in fatherhood, come rushing back to him allowing him to also reconcile the losses and the regrets. As for Maureen, she finds herself missing Harold for the first time in years. A novel of unsentimental charm, humor, and profound insight into the thoughts and feelings we all bury deep within our hearts, "The Unlikely Pilgrimage of Harold Fry" introduces Rachel Joyce as a wise and utterly irresistible storyteller. 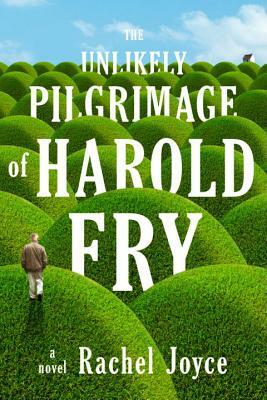 Advance praise for "The Unlikely Pilgrimage of Harold Fry"
When it seems almost too late, Harold Fry opens his battered heart and lets the world rush in. This funny, poignant story about an ordinary man on an extraordinary journey moved and inspired me. Nancy Horan, author of "Loving Frank"
There's tremendous heart in this debut novel by Rachel Joyce, as she probes questions that are as simple as they are profound: Can we begin to live again, and live truly, as ourselves, even in middle age, when all seems ruined? Can we believe in hope when hope seems to have abandoned us? I found myself laughing through tears, rooting for Harold at every step of his journey. I m still rooting for him. Paula McLain, author of "The Paris Wife"
Marvelous I held my breath at his every blister and cramp, and felt as if by turning the pages, I might help his impossible quest succeed. Helen Simonson, author of" Major Pettigrew's Last Stand"
The odyssey of a simple man . . . original, subtle and touching. Claire Tomalin, author of "Charles Dickens: A Life. Rachel Joyceis an award-winning writer of more than twenty plays for BBC Radio 4. She started writing after a twenty-year acting career, in which she performed leading roles for the Royal Shakespeare Company, and won multiple awards. Rachel Joyce lives in Gloucestershire on a farm with her family and is at work on her second novel."